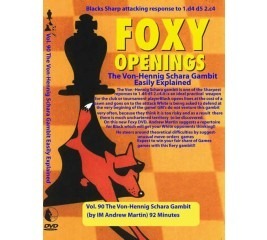 This Collection of 5 DVDs, hosted by legendary Chess Trainer IM Andrew Martin, will teach you everything that you need to know to play the game of Chess (and play it well!) 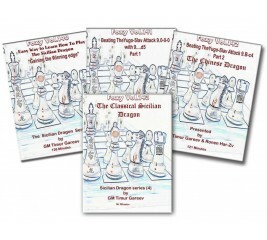 Unlike other instructional DVDs, the Teach Yourself Chess Course is designed for the beginner. 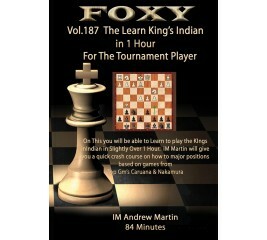 It starts by teaches the basics of Chess DISK and once mastered, will discuss such critical aspects of Chess as Endgame, Tactics, Time Control and many more. There is plenty of scope within the framework of this opening for Black to deviate successfully from the main lines. The result is a sharp, interesting and winning repertoire for Black, which sets the opponent problems right from the first moves. 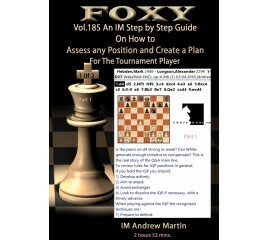 IM Andrew Martin presents potentially deadly set-ups for White when the Morra Gambit is declined. In the mid-1960s, Bobby Fischer unveiled a new wrinkle in his beloved Ruy: The Exchange Variation. He showed it was not the simple drawing line it had once been thought to be. IM Andrew Martin takes a look at this line arising after 1 e4 e5 2 Nf3 Nc6 3 Bb5 a6 4 Bxc6. 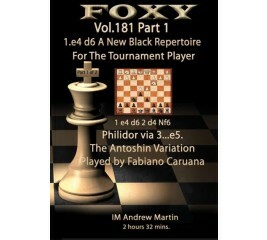 With the resurgence of the French Defence at all levels of chess play, International Master Andrew Martin is proud to offer a 3 disk mini-series on the most critical lines which will help the Black player form a successful and effective repertoire. 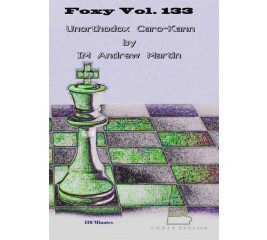 On this all-new Foxy DVD, Andrew Martin focuses on the Bronstein-Larsen system in the Caro-Kann and provides a perfect introduction to this sharp variation. After 1 e4 c6 2 d4 d5 3 Nc3 (or 3 Nd2) dxe4 4 Nxe4 Nf6 5 Nxf6+gxf6! the position becomes unbalenced and the player with a better knowledge of the main themes and ideas will surely win through. This is an excellent way to play for the win with Black. 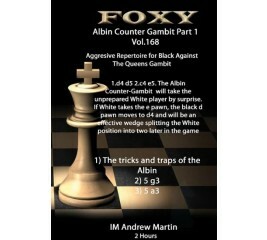 The Albin Counter gambit is a magnificent weapon for club players. It even works well at master level, although tends to be used as a surprise higher up. On this modern DVD, IM Andrew Martin develops a repertoire for Black, based mainly around an early ...Nge7 in most of the main lines. This is the approach used by super GM Morozevich and an exciting life is guaranteed. Fight the King's Indian with fire! In the Classical main Line - 1.d4 Nf6 2.c4 g6 3.Nc3 Bg7 4.e4 d6 5.Be2 0-0 6.Nf3 e5 7.0-0 Nc6 8.d5 Ne7 and now 9.b4! is the Bayonet. This system has moved into the limelight following crushing wins by Van Wely and Miles against King's Indian experts Nunn and Shirov. Using a series of common endgame examples, IM Andrew Martin will teach you simple endgame techniques and guidelines that you will be able to apply to and help you win your games. 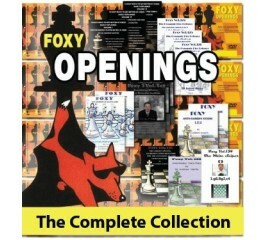 In this all new Foxy Openings DVD, IM Martin teaches you all that you need to know to add the Sokolsky Opening to your weapons arsenal. With 1. b4, White gives himself a very playable position while steering his opponent into unchartered territory, where you will know what is going on but your adversary won't! The SNIPER! 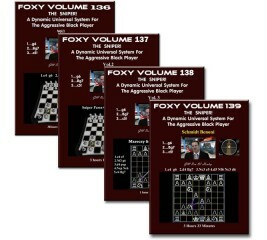 is a dynamic and universal opening system that fills in the gaps for the Black player who plays the Accelerated Dragon,the Dzindzi Indian, or other Black Fianchetto defences. Black's system of development with 1…g6 and 2...Bg7 allows White to occupy the center, but in true SNIPER! Modern style, Black strikes back with an early c5! 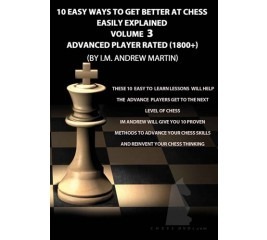 Volume Two IM Andrew Martin using an additional 19 games to demonstrate ideas how to meet remaining lines when Black plays an early ...e6 and lines where Black avoids ...e6 until he has developed his Bishop on c8 also Nf6 & g6, c6 slav setup, B-f5, and B-g4. When learning a new opening, the very last thing that an improver or busy person needs to be confronted with a lot of information. You don't need books hundreds of pages thick. In slightly over an hour, International Master and FIDE Senior Trainer Andrew Martin will get you up and running with the Sicilian Najdorf. You will be ready to play this opening in your games. The Budapest Gambit (1.d4 Nf6 2.c4 e5!?) is a swashbuckling gambit where Black assumes the initiative from the word go and will most often recover his pawn with a well developed game. IM Andrew Martin brings a modern style to the surprise opening weapon for White. The King's Gambit offers quick development, a powerful center, an attack on f7. The King's Indian Attack (KIA) can be used successfully after 1 e4 or 1 Nf3. On this all-new Foxy openings DVD, International Master Andrew Martin recommends starting with 1. e4 and shows when the KIA may be played with best hope of success. You will learn the nuts and bolts of a very good opening system and know exactly when you should play it and when not. The most extensive DVD content ever produced on The London. Black will have a difficult time meeting the London. 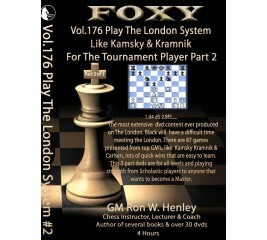 There are 87 games presented from top GM’s, like Kamsky Kramnik & Carlsen, lots of quick wins that are easy to learn. This 3 part DVDs are for all levels and playing strength from Scholastic players to anyone that wants to become a Master. 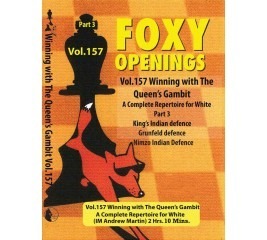 Explosive repertoire against both 1...d5 and the Nimzo-Indian/Queen's Indian/Bogo Indian complex. Based on nasty attacking lines of the Colle-Zukertort Attack, feauturing the author's secret home theory and cunning move orders. Red-hot material for those who enjoy original and attacking lines. GM Julian Hodgson continues to terrorize super-GMs with his own Trompowski theory. Here he gives away his secrets in the critical main line 1.d4 Nf6 2.Bg5! Ne4 3.Bf4. These new main lines of the Tromp are as weird and wonderful as ever. Fun to play and extremely potent! 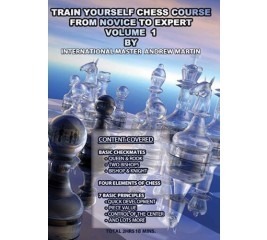 On this first DVD in the series, International Master Andrew Martin breaks down the elements of chess so that the game becomes easier to understand. Players of all levels will find something of interest here, including many complete games from recent years. 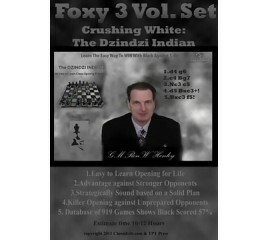 This the most comprehensive 3 Part DVD series ever produced on the Dzindzi Indian - designed to give Black an easy-to-learn yet powerful and incredibly effective weapon which scores a remarkable 57% for Black. 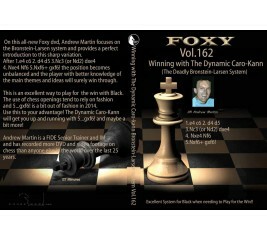 On this DVD IM Martin gives a winning repertoire system against 1.e4, meeting it with 1...e5 for Black. 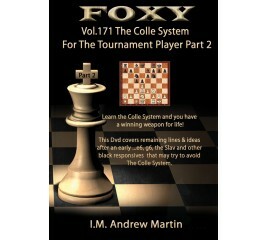 Martin offers aggressive lines against the King's Gambit, Center Game, Danish Gambit, Bishop's Opening, Vienna Gambit and the Italian Game. New Black Repertoire 1...d6 played regularly by GM Fabiano Caruana idea for Black is to play 1.d4 d6 Nf6 and Bf5 this will give you a seldom seen surprise repertoire turning the tables on a booked up White opponent leaving you with all the clear plans how to proceed. In the second of his two videos on the French, GM Daniel King takes a more detailed look at 3.Nd2 and 3.Nc3. 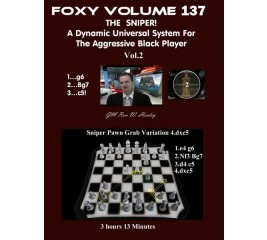 Against each move King recommends his own favorite systems and in addition reveals secret weapons employed by his grandmaster colleagues! The author blends together 1...d6 systems which strike out on an independent and challenging course.. These creative systems resist early simplification and are ideally suited to playing for the win. If you are tired of suffering on the black side of the Queen's Gambit, the Baltic Defence can change all of that! 1. d4 d5 2. c4 Bf5!? offers active and unusual play which your typical Queen's Gambiteer won't be familiar with and will force White to immediately change their plans.Grandmaster Rausis and Miladinovic use this exciting counter-attack frequently with good results. 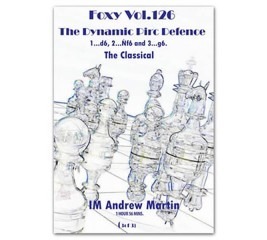 In this all-new three-volume set on the Pirc Defence, International Master and Senior FIDE Trainer Andrew Martin demonstrates that Black gets dynamic play after 1...d6, 2...Nf6 and 3...g6. This is an opening well-suited to the needs of the club player.